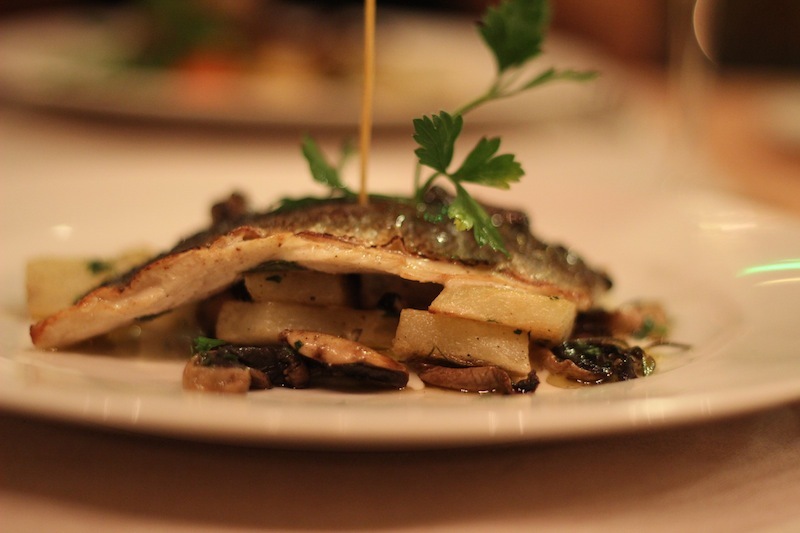 We can definitely recommend you to have dinner at Pepe Nero with its Italian and Moroccan cuisine. 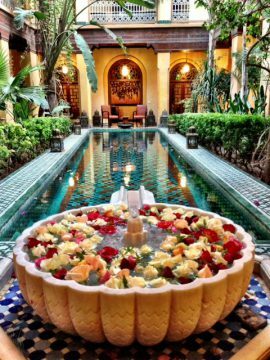 The highlight is the entrance and the view from the water feature filled with roses to the mosaics and the beautifully tiled pool. 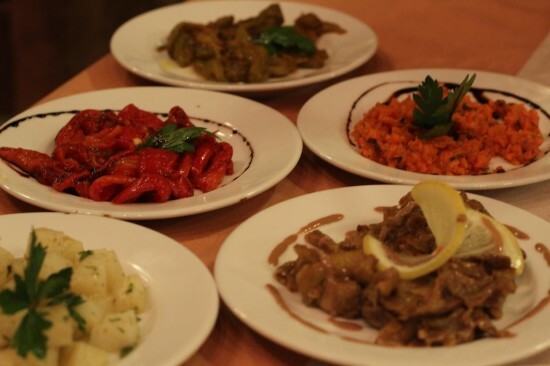 On the menu you will find a selection of Moroccan salads and Harira soup. An Italian menu is also available and if you like chicken, try the chicken and saffron tajine made with free range chickens.